Today my interrogators came to me with questions about spirit animals. The precise origin of the question was difficult to discern, but I think it was connected to some months-ago lessons at school about Aboriginal people in Australia. We talked about how some people believed they could connect with animals in special ways. There were two sweet but confused faces staring back at me and a third, whose eyes were narrowed in deep concentration. I was thinking, hey, this two-year-old gets it!–and then at the midpoint of that split-second thought, he asked me for his toy trumpet. Eventually the girls and I got to a point where we were talking about how our favorite animals are our favorites because there are things about them that we really like or wish we had, and how there are a lot of talents animals have that people do not. Sass said her spirit animal was a cat with laser-shooting feather ears just like her story…the one she’s been telling/developing/insisting-those-around-her-play-carefully-scripted-roles-in for days. [Now it’s two mythical creatures. Ugh. Fine! Let’s get in to it.] I explained that just as there are no real unicorns, there are no cats with laser feather ears. She told me I was wrong. So I went to the Google. Guess what?! 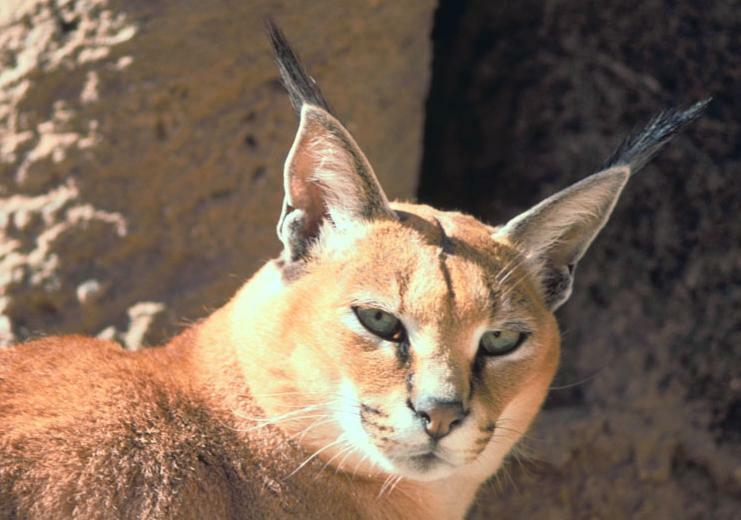 It’s called a Caracal. Feather ears, yes. But it does NOT shoot lasers from those feather ears. Sass 1, Mom .5. Still a loss. I think I’m going to kick it old school from now on. There is no internet to ask…and Mom is always right.